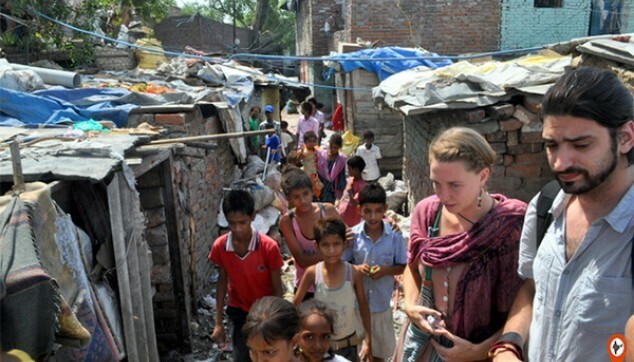 Dharavi Slum and Bollywood Tour will take you to Dharavi, the largest slum of Asia. Around 1.2 million people reside in Dharavi area. Many NGOs are working here to help locals building small scale businesses to provide employment in Dharavi. There is even an online portal named Dharavi market where one can online purchase the products created in the slums of Dharavi. Post Dharavi Tour, you will take a tour of Bollywood studios wherein you will watch the shooting of TV series or movies. This Dharavi Slum and Bollywood Tour will give you an idea of the slum in Mumbai and the glam world of Bollywood. Know the life of people living in the Dharavi slums. Take a sneak peek into the world of Bollywood. A local guide well-versed with the places you will visit. An air-conditioned car with a chauffeur. At morning 10 am, our driver would receive you from the porch of the hotel. From here on, you would take a Dharavi Slum Tour, wherein you will see how millions of people survive in such kind of scarcity. Despite of their everyday challenges, they managed to create small scale businesses for running their households. The waste material from all over the city including plastic, glass, furniture, bottles etc are collected by the residents of slum and recycled to create new innovative items. Other small industries in this slum include pottery, buiscuits & snacks, leather goods etc making a great turnover all together. 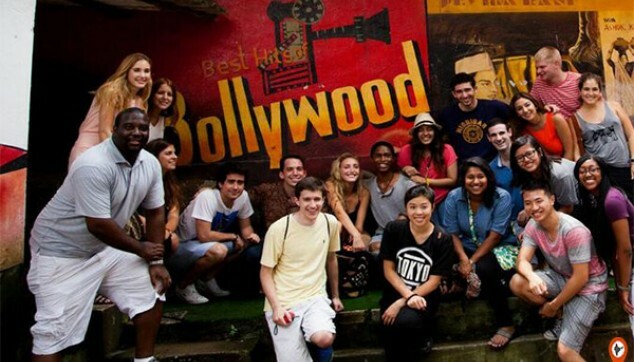 Next, you would head towards the amazing experience of Bollywood Tour along with a specilized Bollywood tour guide. You would be taken to film studios where you can see the shooting of different serials and ad-films. This would also make you amazed with effective use of visual effects in current days movie-making. If got lucky, you can get the chance to get a photo clicked with a celeb. Later, you would drive past the bungalows of some famous bollywood stars and the driver would drop you back at the hotel. A memorable tour to Mumbai!! I enjoyed my tour to Mumbai. Being a fan of Indian movies and shows, I wanted to take a sneak peek into the real world of these shows. The guide was very enthusiastic and helpful. I would love to come back India to exploring yet another city.